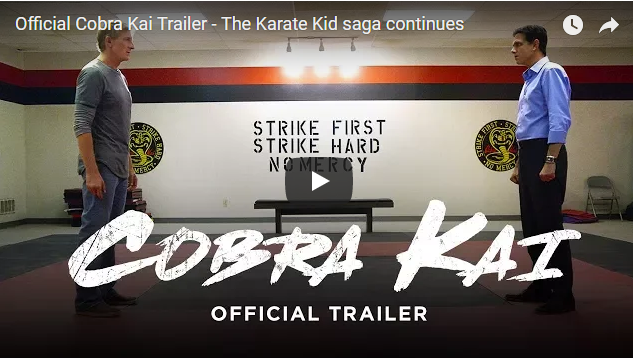 In February, we reported that a spin-off of 1984’s The Karate Kid was coming to YouTube Red. The official trailer was released a few days ago where we are able to get a better idea of the premise. Ralph Macchio and William Zabka reprise their roles as Daniel LaRusso and Johnny Lawrence, but it seems as though now Johnny is the “good guy” and Daniel is the “bad guy” – an interesting reverse in characters. The show will first debut at the Tribeca Film Festival on April 24, and will premiere on YouTube Red on May 2. PREVIOUS POST Previous post: Did Sidney Crosby score the greatest goal of all time?